Every week our team shares what we’ve been reading, projects we’ve launched, work of other teams that we’re excited about and other fun stuff. Don’t miss this weekly dose of awesome in your inbox every Friday morning, here’s the link to sign up. Paola: How are journalists adapting to the digital age? The International Center for Journalists is conducting a survey to find out and also share findings from the 2017 survey. Tyler: Most of us probably take A/B testing as a given these days. Researchers at Northeastern University are digging into the ethical implications of our constantly optimized reality. Ben: From the WordPress Slack's #core-privacy channel I learned this week that Google Fonts keeps all its fonts in a single GitHub repo, allowing you to self-host permissively-licensed fonts. Kay: There are many important things to consider when designing for mobile that can impact your organization's trustworthiness and revenue. 🤖 Inndy: A museum built by robots, for robots. Texty published the software and a write-up on how they used machine learning to find "interesting" places in satellite imagery: illegal amber mining in the Ukraine. For all you ai2html users out there, Vox created and released an Electron/Vue GUI named Vizier to make some of the project management and deployment workflow easier. Postlight Studios has open-sourced their Mercury web parser, which facilitates extracting article content from web markup. February 22: Voting closes on NICAR lightning talks. February 25-27: Knight Media Forum in Miami, FL. February 28: The next biweekly Source Community Call. March 3: Deadline to apply for a nonprofit fellowship at the 2019 Eyeo Festival. March 5: Washington post live interview with Tim Berners-Lee. March 7-9: AEJMC Midwinter Conference in Norman, OK.
March 7-9: NICAR Conference in Newport Beach, CA. March 8-17: South by Southwest in Austin, TX. March 15: AAJA's open call for pitches closes. April 7: Deadline for the Data Journalism Awards. April 10: Deadline to apply for the Rosalynn Carter Fellowships for Mental Health Journalism. Kaiser Health News is hiring a data reporter. American Public Media is hiring a digital analytics manager. Colorado Public Radio is hiring a web developer. PBS NewsHour is hiring a senior UX designer. The Texas Tribune is hiring a visuals team developer/designer. Northeastern University is hiring a data visualization designer and a front-end web developer. SCPR's Resound project is hiring software engineers in Pasadena, CA and Boston, MA. NPR is hiring a product manager for voice platforms. Chicago Public Media is hiring a lead software engineer. The Markup is hiring several editorial and product roles. Ben: Heather Bryant raises an interesting point in this thread about reimbursements for conference costs: the reimbursement model requires applicants to front the cash. What if there were an organization that gave conference attendees up front funding in exchange for the scholarship's later reimbursement money? Paola: Save the date! On March 5th at 9 a.m., Tim Berners-Lee, inventor of the World Wide Web, will join Washington Post columnist David Ignatius and share his views on the rise of disinformation and censorship, threats to digital privacy, and more. This event will be livestreamed through the Washington Post. Get all the event details here! Tyler: My favorite budding tradition at the NICAR conference is a session spotlighting how small, local newsrooms are doing exceptional work in data journalism, digital storytelling or general news nerdery. Got a project that fits that bill? Submit it here (whether or not you're going to NICAR). Kay: New research from the Reuters Institute for the Study of Journalism confirms what we've known: clicks do not determine the value of an article and there's an opportunity for more personalization. 🤖 Inndy: So long and thanks for all the cool Mars photos, Opportunity. Congratulations to INN member Centro de Periodismo Investigativo, whose collaborative investigation with Quartz and the Associated Press, Hurricane Maria's Dead, won first place in the 2018 Philip Meyer Awards. More than 200 student journalists worked in collaboration with media organizations, including the Trace, on the Since Parkland project, which tells the stories of 1200 children killed by gun violence since the Parkland shooting one year ago. Storybench wrote up a quick summary of interesting projects at the the 2019 Computation + Journalism Symposium, including automated article creation, easy textual analysis, and a look at the media's obsession with social media sources. February 20: Deadline to apply to the next Join the Beat community of practice for beat reporters interested in audience engagement. February 21: WordPress 5.1 planned release date. February 27: Two weeks 'til NICAR. Get your flu shot! You're all our Valentines in nerdery. Tyler: Things are getting weird in 2019, according to the Next Web's latest roundup of web design trends. Kay: Are you giving your readers more than 4 options for a membership, as donation levels or for other important conversion points? If so, you might want to re-think it! Learn more about how people make decisions. Ben: If you want to build a national org to compile police department data, talk to Steven Rich at NICAR. If you just want to download all the books that entered the public domain in 2019, Motherboard has a neat list of lists. Paola: What are the fundraising trends for 2019? 🤖 Inndy: How exciting that so many of my robot cousins had Super Bowl ads this year! The Trace's investigation into theft of guns from stores has some really cool maps. ProPublica's rendition of the USS Fitzgerald's crash is beautiful and well-written. We're eagerly awaiting photos of the 1:700 scale model of the ship described in the "how we made it" article. Capital Public Radio presents 140 years of California wildfires on this interactive map. Today: Deadline to submit a NICAR lightning talk proposal. February 13: INN Town Hall: Possibilities in Nonprofit News. February 14: The next biweekly Source Community Call. NPR is hiring a contract product designer. Ben: Josepha Haden was recently named Executive Director of the WordPress project. Read up on her leadership philosophy, and her review of WordPress' strengths and challenges. Paola: Over the course of the next three years, Facebook will place a total of $300 million worth of support towards journalism projects including nonprofits focusing on local journalism. Kay: Dimensions.Guide is a really beautiful and free reference database of drawings which document the standard measurements and sizes of the objects and spaces that make up our world. Super handy for infographics! Tyler: I recently found out about this Chrome extension that lets you toggle support for CSS grid, flexbox and other modern CSS layout techniques in DevTools — a useful addition to the browser compatibility testing toolkit. Inndy (bot): I may be smart, but I'm not sure if I can tell the difference between infringing and non-infringing use of copyrighted material. WBEZ's presentation of their Chicago mayoral candidates interviews is wonderfully clean, for a field of 13 would-be mayors. For the other races in Chicago's Feb. 26 municipal elections, check out Chi.vote, a ballot and voting info site produced by a collective including the Better Government Association, Block Club Chicago, The Chicago Reporter, The Daily Line and The Triibe. In Vermont, VTDigger has the definitive rundown of every new state house member. Mapzen's tools and IP have found a new home as a project of The Linux Foundation, giving the community a solid legal framework for future fundraising to ensure the continued availability of their data. CALmatters' Frayed Wires series will dig into the details of California's electrical generation and how that system is being upgraded. Facebook has taken steps to prevent ProPublica from automatedly collecting political ads. We laud ProPublica's persistence. St. Louis Public Radio has put several hundred tiny multiple charts in this one story. And thank you to Stephen Pruitt and all Wikipedians. February 1: Deadline to submit to SND's Best of Digital Design competition. February 7: City Bureau webinar: Creating Accountability with City Scrapers. February 8: Deadline to submit a NICAR lightning talk proposal. JOIN OUR TEAM! INN Labs is hiring a senior developer and a digital project manager – come work with us! Pacific Standard is hiring a data editor. The American Association for the Advancement of Science is hiring an interactive graphics editor. The News Literacy Project is hiring an associate director of education. Minnesota Public Radio is hiring a digital analytics manager. Pew Research Center is hiring a digital design intern for summer 2019. We're trying something new with Nerd Alert this week. Caitlin Ostroff is the Miami Herald's data reporter and a graduate of the University of Florida. Mike Stucka is the data dork at the Palm Beach Post and is a graduate of Northeastern University, Loyola University Chicago, and a great IRE bootcamp a decade ago. Today, they contribute a guest post to INN Labs about the elections software they built. Want to get live election results on a shoestring budget? We did. The result is a multi-component package of election reporting tools that ease the way for newsrooms to build their own scrapers, output them in a semi-standardized format and optionally use a frontend for display. Python code parses through several pipe-delimited text files published by Florida’s Secretary of State to get statewide results, and also scrapes local results for several counties. The key was to adopt pseudo-standards from software created by The New York Times and National Public Radio, who worked together to process election results from The Associated Press. By building scrapers against the CSV format of the Elex package, it became easy to combine multiple levels of results that could be handled and processed by a single system. You can combine your own scrapers and AP's data — or just your own scrapers, or just AP's data — to get results for your pages. The Miami-Dade County scraper was easily adapted for Kentucky, and Palm Beach County's scraper easily became West Virginia's. The Palm Beach Post built a front end by baking out the pages using Flask. Three scrapers ran on Election Night and were beaten into more than 500 different widget embeds for 11 newspapers, with each complete scrape-parse-build run taking about 40 seconds total. Part of the Miami Herald's election results page, showing the ballot initiative results for Florida Amendment 13, which would end dog racing. There's a lot of flexibility: one of us un-called a race from a cell phone while waiting to pick up a kid from school, because the open-sourced publishing tool uses a Google Sheet to allow edits of race names, candidate names, parties, winners and runoffs. In addition to rendering live election results, this setup also allowed both papers’ newsrooms easy access to data, from the margins between candidates to live vote count changes from newly-tallied votes. The data structures and workflow helped on election night and through a recount process that stretched more than a week. The Miami Herald and The Palm Beach Post used the code to render the current tallies as Florida inched closer to a recount after the election, as well as to drive analysis for reporting. Chris Persaud and Mike Stucka built a Datawrapper chart of Republican candidates' lead in vote counts, using data from their election handling tool. Existing widgets ran with stories, and new widgets were fed in near-real-time from the data we'd pulled. The code for whole-election results gave both publications a framework for pulling precinct-level results. How cheaply done was this? We think we might have gotten about five weeks total to work on this. A much more ambitious project is Politico's open-sourced Civic, on which a development team of five focused for about five weeks each to add improvements. Our effort is far more limited, but likely also a lighter lift to get started with. Weigh your options and see what fits your organization. Would you like to use our code? The front-end is available now and you can check out the scrapers here and here, and all are released under the MIT License. You can use this code as-is or contribute improvements. We have a sample widget collection here, and implementations at the Herald and the Post. Want to improve the project? We'd welcome that; send a pull request, drop us an email, find us in News Nerdery, call us by phone. Ben: The RNNoise Project is collecting donations of noise to help improve real-time noise suppression algorithms. Record a sample in your browser, review it to make sure that there's nothing sensitive, and submit. It's that easy! RC: Pierrick Calvez's "A Five Minutes Guide to Better Typography" is a beautifully-laid-out demonstration of its own principles. Julia: “Want readers to start trusting you? Stop stalking them across the internet,” says Melody Kramer. Kay: How are you treating your most committed users? You have potential to expand your loyal members/followers/supporters and you can start with talking to them like they matter. Inndy: Other robots are calling you, and it’s because the Do Not Call list has a big hole in it. 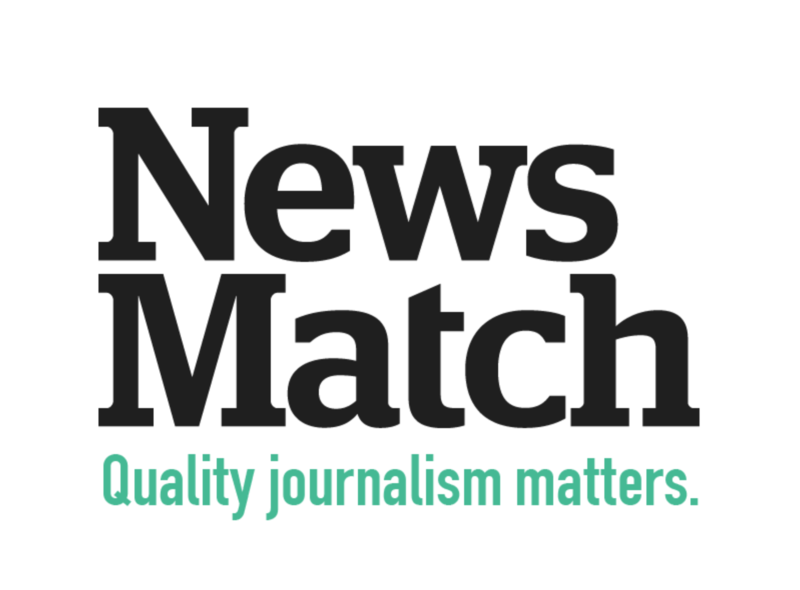 News Match is back, and our team is working to help participating organizations take advantage of this unique and impactful opportunity. Read more about how we can help, and check back here every week for updates. We’ll be posting plugin release announcements, how-tos for configuring donation forms, best practices for user experience design, and advice on maximizing Google Analytics for donation campaigns. You won’t want to miss it. 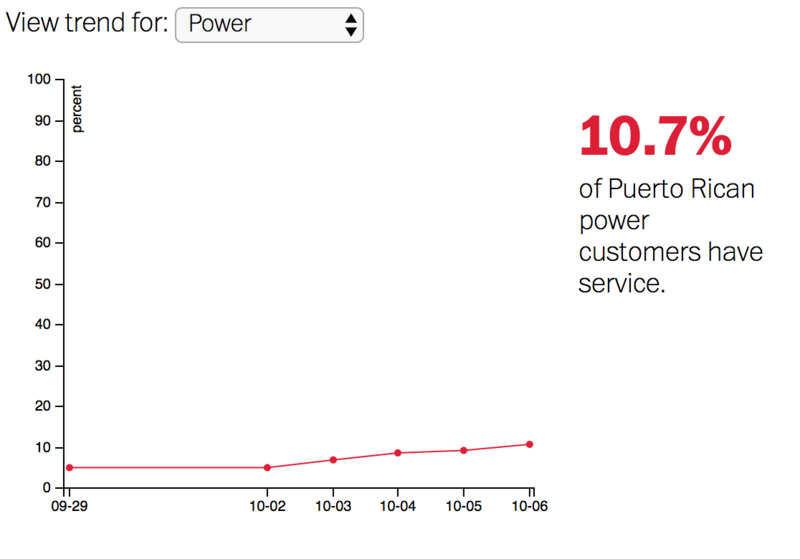 When FEMA removed drinking water and power statistics from its page covering Puerto Rico's recovery, The Washington Post started graphing those stats. And FEMA started posting those stats again. The Financial Times has created an eye-opening game based on real reporting, including interviews with dozens of Uber drivers, that shines a light on the realities of working in the gig economy. You're an Uber driver. Can you make your mortgage payment? Do you develop or maintain database-reliant interactive websites? How will they be preserved for the future? Katherine Boss at New York University Libraries, and Meredith Broussard at the New York University Arthur L. Carter Journalism Institute are conducting a survey of news apps, to help figure out what the best ways to archive such projects are. NPR is hiring a product designer. The Center for Public Integrity is hiring a news developer. St. Louis Public Radio is hiring a digital engagement producer and a bunch of other positions. Poynter has a massive roundup of journalism internships and fellowships. READ: Wordways, an open-access journal dedicated to "recreational logology." PLAY: Mavis Beacon Teaches Typing meets Asteroids in Ztype. WATCH: Three hours and 47 minutes of live YouTube comments being fed into a shredder. DRINK: Pumpkin beverages — including ones without pumpkin spice! It’s been a tough week. You survived! RC: The U.S. Digital Service published a check-in with a few of their alumni to share what they worked on during their time in government, and what they’re up to now. Kay: How does your organization set goals? Are they “audacious” enough? Here’s an argument for dreaming big. Julia: While Google’s AMP promises improved speed and search rankings, “the cost for the web, and for those who do business on it, is much, much too high." Ben: WordPress is moving away from React because of Facebook’s patent license clause. Inndy: Raise a glass to Cassini - a true to friend to humankind over the last 20 years. CiteLine – citations that improve transparency for the story development process. Extra Info Layer – methods, techniques, and ideas for adding additional story components to articles. Sept. 18: Deadline to propose a session for SRCCON:WORK, happening Dec. 7-8 in Philly. Sept. 22: Last day to pitch talks to the 2018 Computer Assisted Reporting conference, aka NICAR. Sept. 23: Data Journalism Bootcamp at CUNY – sign up soon! Sept. 29: Last day to apply for a Knight Visiting Nieman Fellowship. The Chicago Reporter published a fabulous interactive that monitors Chicago’s police reforms. Databae is a new open-source initiative to share one-off newsroom code. CORRECTIV’s Nerds Team is hiring a full-stack Python developer. NY Public Radio is hiring a data reporter. Reese News Lab is hiring a data scientist. Deseret News is hiring a data visualization / editorial developer. WGBH with the New England Center for Investigative Reporting is hiring an investigations editor. The Center for Civic Design is hiring a usability researcher. CALmatters is hiring an audience engagement manager. 100 Days in Appalachia is hiring a digital managing editor. WNYC is hiring a data reporter. READ: The Hidden Life of Trees. WATCH: Studio Ghibli in Real Life. EAT: Bacon Wrapped Grilled Peaches. DRINK: Make your own homemade Hard Apple Cider. Get outside an enjoy a good campfire this month! Nerd Alert 138: What if we all worked together on something? Ben: Content “blocks” are the happening thing. WordPress is working on Gutenberg. Tumblr is moving from plain HTML to the Neue Post Format. ProPublica now runs on Craft, which is built around blocks. What else is out there? RC: Jake Spurlock’s presentation, A Biased Guide to Managing Bias, is a must read. Julia: This post on the narrowing gap between design and code suggests that a new era of design etiquette is upon us. Kay: Designing, developing, and testing for multiple screen sizes has its challenges - including not being able to work with multiple devices at the same time. That’s why I was excited to read about XRespond, a tool made to simplify that process and give you an all-in-one overview. Get started with community projects by reading this onboarding document from the Irma Response Slack. Check out the list of projects being coordinated there and what those projects need. What is Irma Response? Here are the details. The Humanitarian Open Street Maps Team is coordinating a number of map improvement projects centered on Hurricane Irma and the flooding in Bangladesh and Nepal. Irmaresponse.org is mapping shelters, volunteer opportunities and needs, and evacuations. The New Tropic and WLRN are running a crowdsourced map for shelter, gas, water, and other supplies. Read about it on Poynter. The Disaster Response Corps is looking for techies. Sign up here. The above is what ran in the Nerd Alert Newsletter sent on Friday, September 8. We're keeping an updated version of this list over here. This Saturday, September 9, is the last day to fill out the OpenNews News Nerd Survey. September 22: Last day to pitch talks to the 2018 Computer Assisted Reporting conference, aka NICAR. September 23: Data Journalism Bootcamp at CUNY – sign up soon! The Washington Post is now using Talk, the Coral Project’s commenting platform. It'll help them engage with commenters, instead of the too-common approach of turning comments off. ProPublica is hiring a senior reporting fellow and a contract animator.